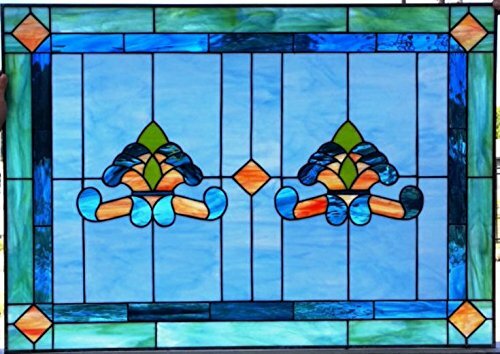 This pintoresque piece is a different version of our Stained glass Window - "Traditional Opals" (W-59) Size: 42 1/16 w x 29 ⅝ t but can be made in about any size with colors that coordinate with your home and decor. This can be ordered in any sizes and color that compliment you decor. Contact us to begin your custom project today!!"